Olamide Adedeji is one of the most consistent artists in Nigeria,he is a singer,songwriter and rapper. Listed below are some of quick facts about Olamide that you probably never knew. 1. 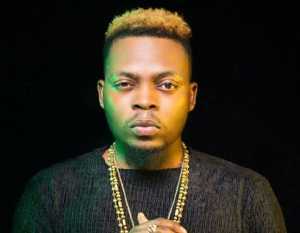 Olamide Adedeji was born on the 15th March 1989,he is a Hiphop artist from Nigeria. 2. He is also popularly known as by his stage name Olamide Baddo. 3. Olamide raps in his native yoruba dialect. 4. Olamide is from bariga,Lagos state,he released his first debut studio album titled Rapsodi while he was signed to Coded Tunes. 5. Olamide later went to float his own record label titled YBNL,his second album was released under his new YBNL label and had singles like "First of All","Voice of the Street", "Stupid Love", and "Ilefo Illuminati". 6. Olamide's third album was released in 2013 and was titled Baddest Guy Ever Liveth. The album had hot tracks like "Durosoke" and "Yemi My Lover". 7. Olamide is the first Nigerian to sign an endorsement deal with Ciroc. 8. Olamide has been nominated and has won different music awards,including The Headies Awards. 9. Olamide decided to pursue a career in music when he found out that he was gifted in it.He started his hustle career in 2000. 10. Olamide has several endorsement deals including Guinness,Etisalat and Sterling Bank Plc. 11. Olamide attended Tai Solarin University of Education where he studied Mass Communication. 12. The song titled 'Eni Duro' was Olamide's first hit song,that brought him into the limelight. 13. Olamide has been nominated for different local and International awards,currently he has won the following awards: Nigerian Entertainment Awards (NEAs) ,City People Entertainment Awards,The Headies,Channel O Music Video Awards,Nigeria Music Video Awards. 14. Olamide has released 8 albums,his albums include Rapsodi (2011),YBNL (2012),Baddest Guy Ever Liveth (2013),Street OT (2014),Eyan Mayweather (2015)The Glory (2016) and a compilation duo album with Phyno that was released in (2015) titled 2 Kings. 15. There was a rumor In 2013 that Olamide has signed a deal with DB Records. Olamide however dismissed the report and stated that it was already too late for anyone to sign him. Apart from being a good musician and rapper,Olamide is also a father. He fathered a son with his long time girlfriend named Adebunkunmi Aisha Suleiman.